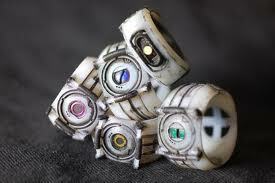 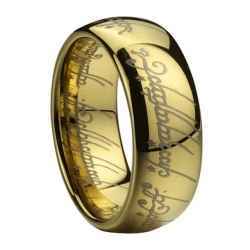 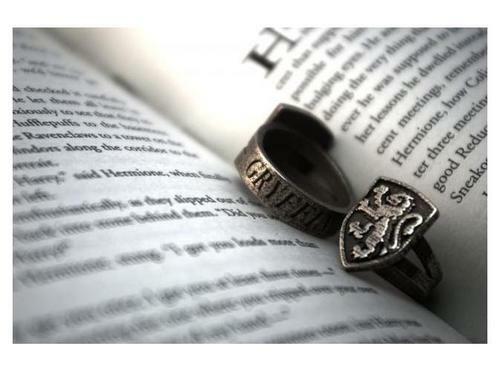 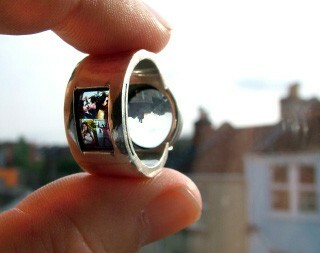 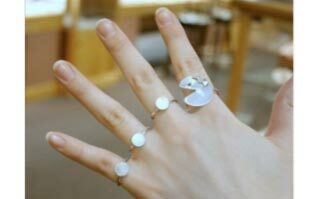 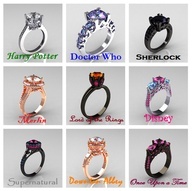 I have to say rings are pretty much my favorite piece of Jewelry. 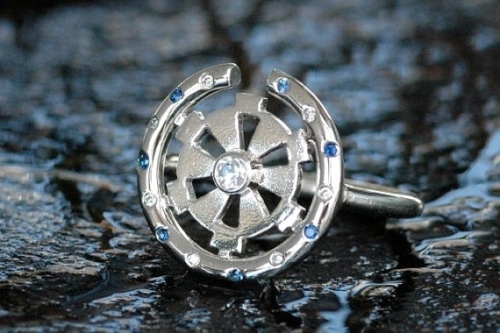 I like how small and understated they can be, and how gaudy and over the top they can be. 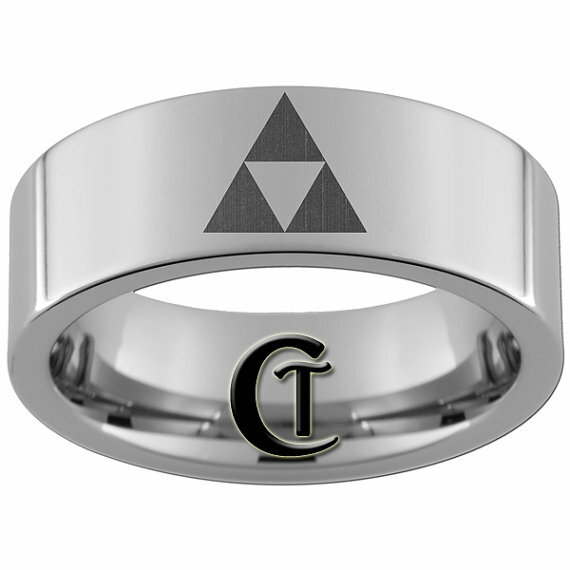 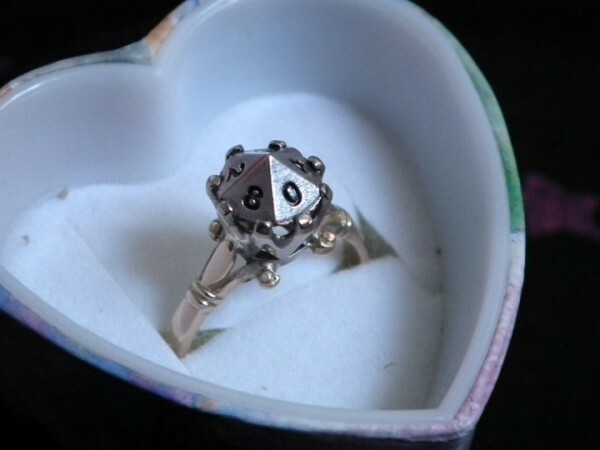 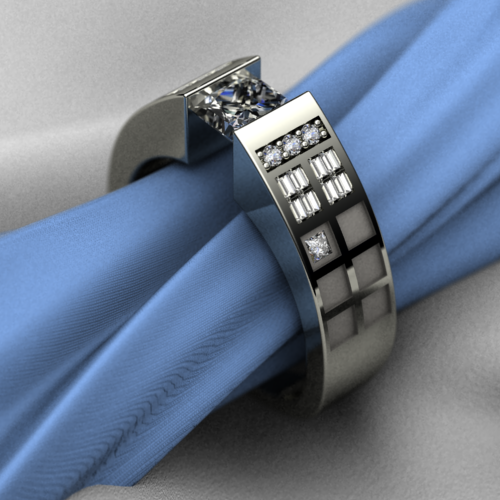 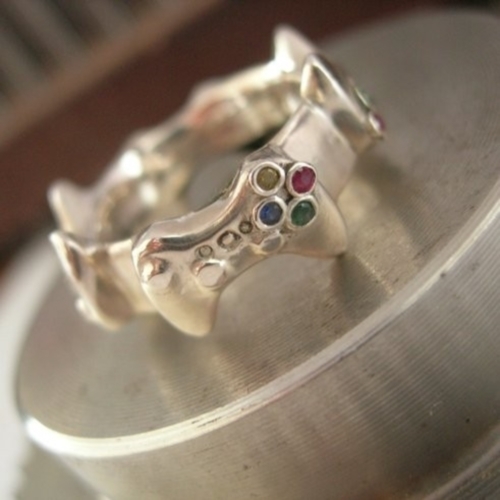 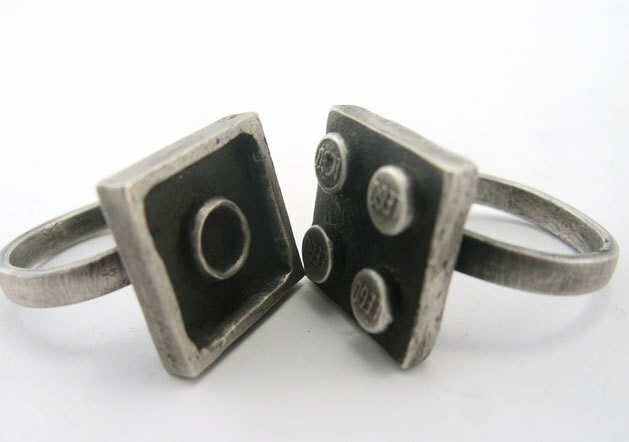 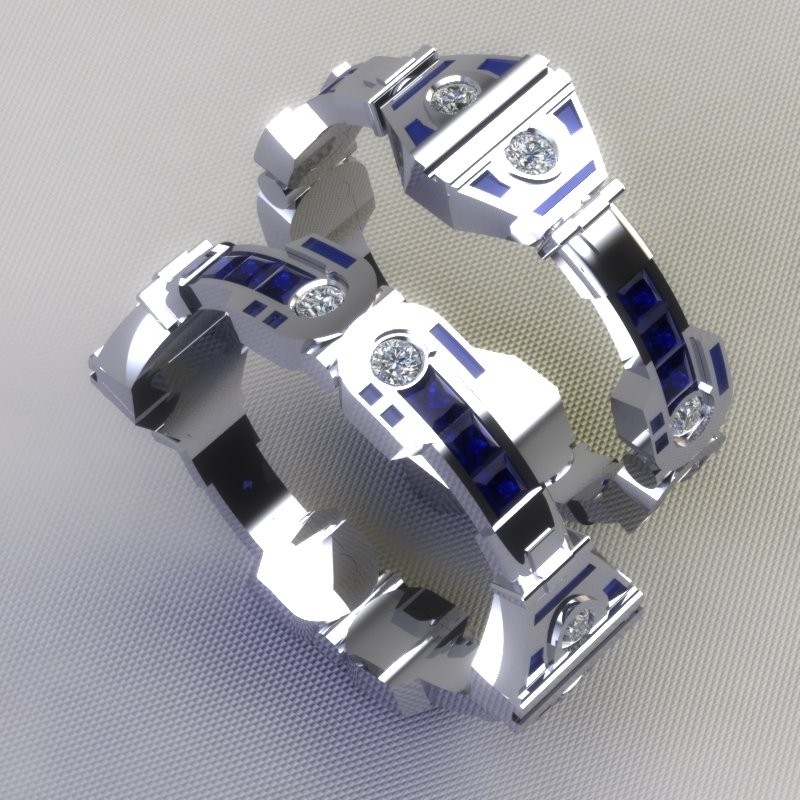 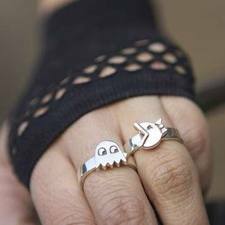 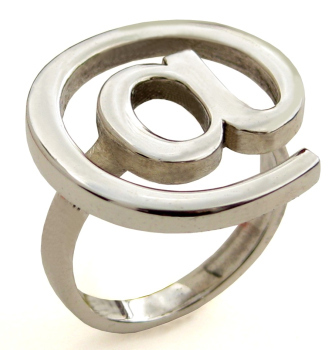 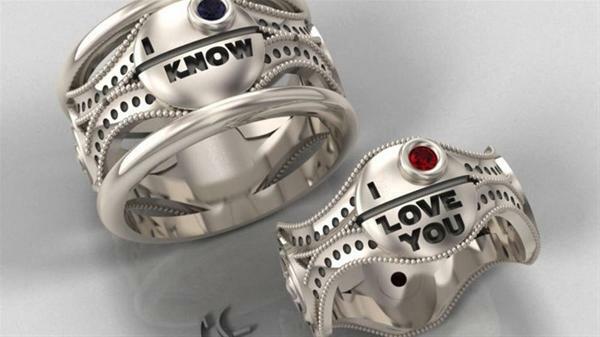 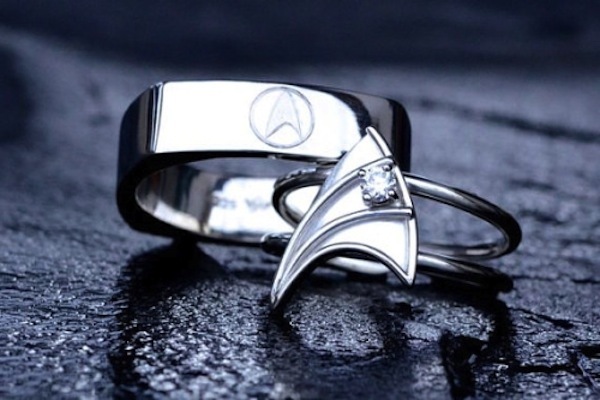 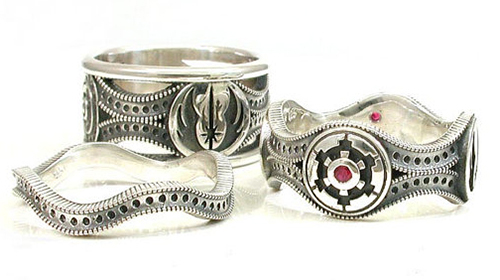 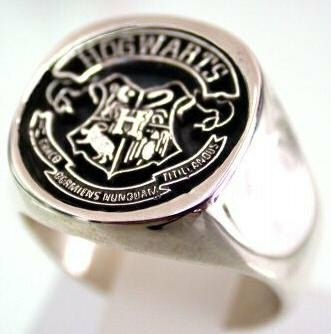 I like the idea of nerdy engagement rings and ones that show your nerd pride in a way that can’t really be seen unless you know what you’re looking for. 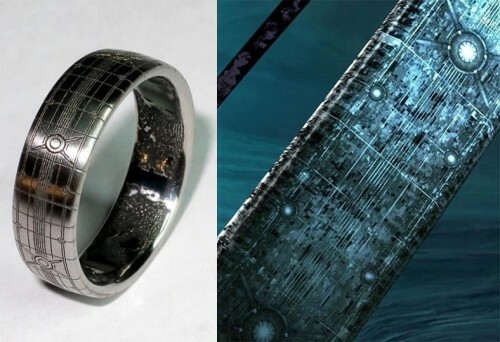 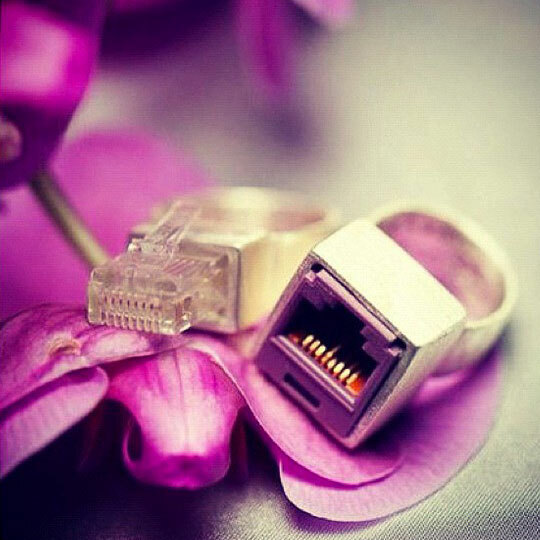 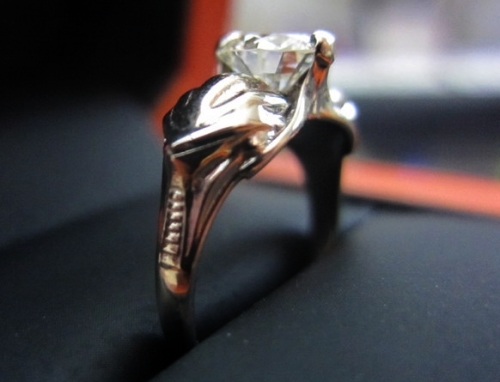 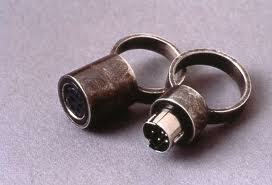 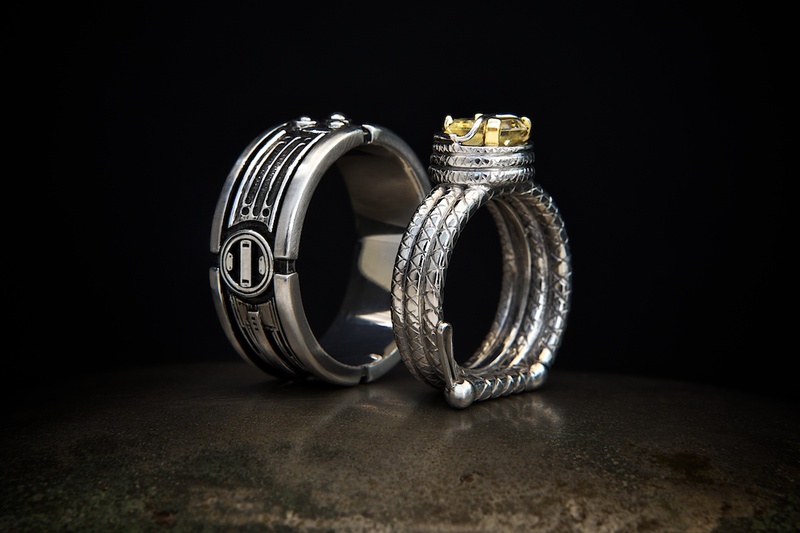 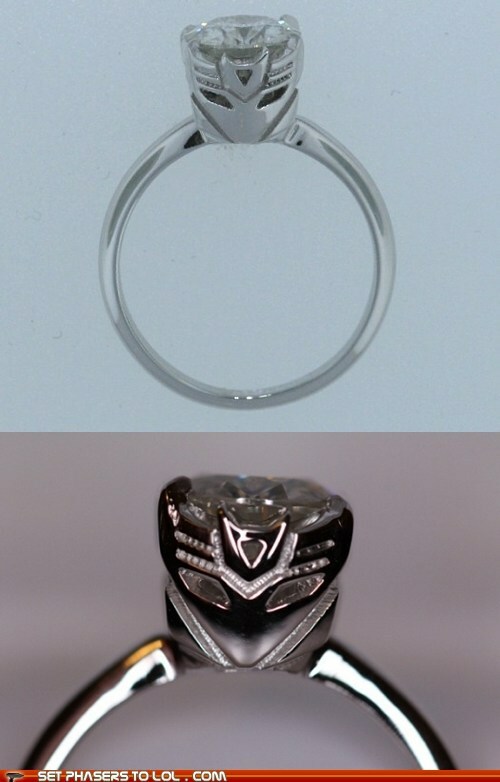 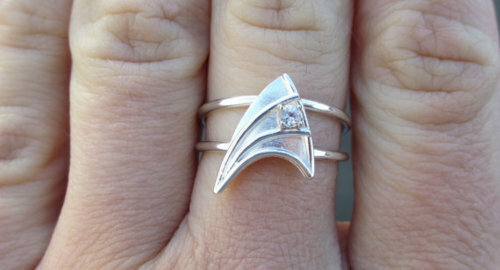 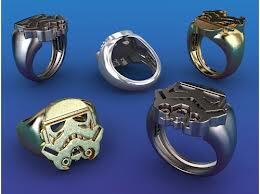 This is a custom made cylon engagement ring. 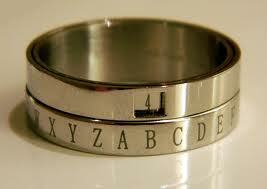 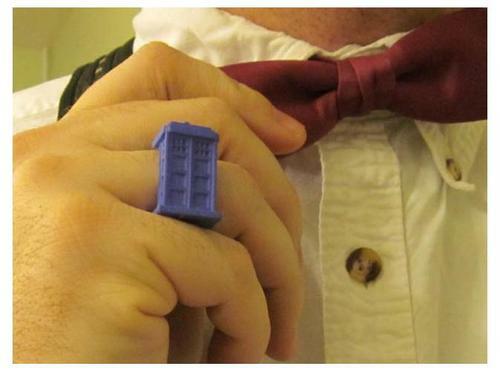 Now that’s one way to bring nerd fashion to every outfit.